A faster way to find the application you need. 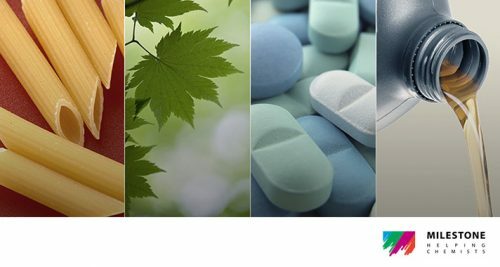 Finding the right application for your product and application is the key to an efficient laboratory. Once you have discovered the right application, finding the best instrument to perform it is, generally, much easier. 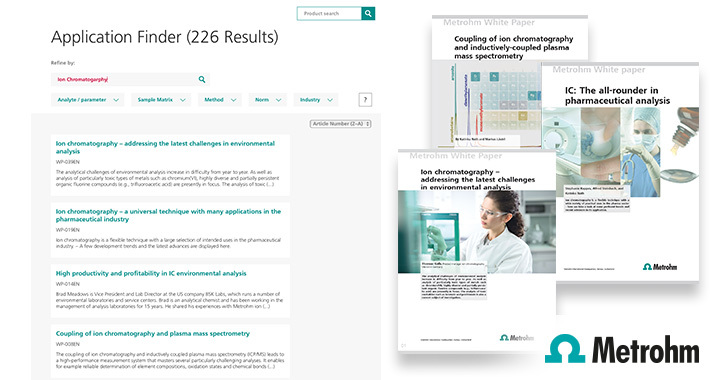 Metrohm takes the hassle out of finding laboratory applications. The Metrohm Application Finder contains over 2000 application notes for common, and sometimes, more obscure analyses. Keyword search, sample matrix or industry filter, the way to find your application is open to you. Each application has been tested in the laboratory to ensure it is fully functional. Of course, if your application is not there, speak to us. The development of new solutions in our applications lab is a service we also provide. Still not convinced? Metrohm provides an application guarantee. If we say it works, it does, or you get your money back.